What is an older adult to do when they have worked all their lives, retired, built equity in their home only to lose it all, and not be able to afford their home any longer? Some try to find more affordable housing options, some live with their children, or attempt to gain employment to either supplement their limited income, or move away from the brink of homelessness. 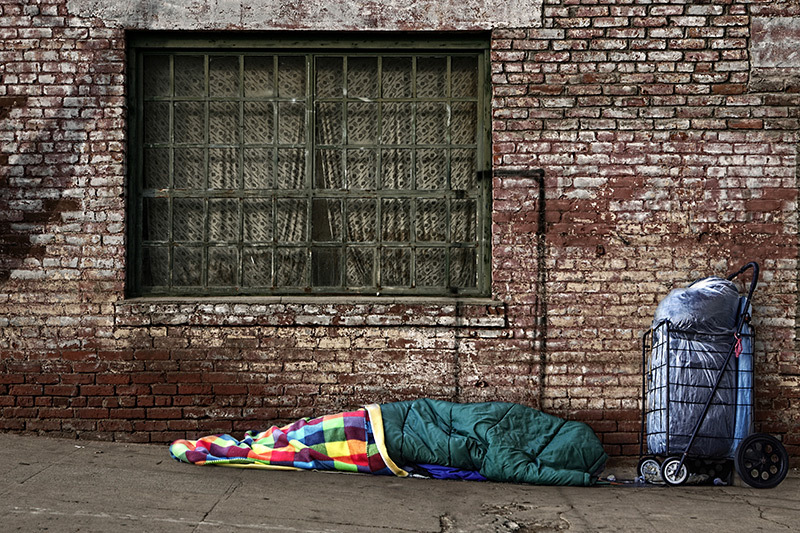 The National Alliance to End Homelessness suggests that 20 percent of homeless are over the age of 50. The emergence of older adults battling homelessness is not a new epidemic, but the face and experience of those now battling homelessness is new. Those on the brink of homelessness have experienced stable employment, stable incomes, they invested in their retirements, and purchased homes that could be sold for additional income. Some however have simply outlived their retirement savings, faced a medical emergency, or were caught in The Great Recession that began in 2007. The recession’s effects have many Baby Boomers still reeling from the economic downturn. In fact, the AARP study, Boomers and the Great Recession (2012) noted that during the recession many Baby Boomers faced a new reality of job loss, compensation reductions, declining home values, investment losses, and high debt which undermined retirement plans and expectations. As a result of feeling financially insecure many older adults depleted their savings, took out reverse mortgages and loans that they could not sustain in hopes that things would turn around. In 2016, the picture remains bleak for many older adults and those on fixed incomes. Coupled with the economic downturn there continues to be a limited supply of affordable housing options, regulated income based housing, and rent-controlled housing alternatives. This lack contributes to a population of people living on the edge of homelessness that don’t fit into society’s stereotype of a homeless individual. At a time in life when older adults should be debating about whether to retire in Florida or South Carolina, many older adults are facing the unforeseen reality of not knowing if they will have a place to live. Coupled with the limited inventory of affordable housing is the substantial number of older adults who are under and unemployed. Ghilarducci (2015) estimates that last year there were about 1.3 million Americans over 55 who were actively looking for a job, but could not find one. With the wave of social media, older adults and millennials are often competing for the same jobs and this can be a daunting experience. While older adults may have the experience, younger adults sometimes have the social media and technology skills that employers are looking for. Another population of older adults living on the brink is those who currently reside in rent subsidized or rent-controlled housing. Though limited in number and availability, these housing options are affordable, but typically have income caps (and other restrictions) that tenants must adhere to. “In the 1950’s in New York, there were more than 2 million rent controlled apartments (mostly filled with veterans and seniors on fixed incomes), however, in 2016 only about 27,000 exist” (Thorbourne, 2015). The story is the same in areas like Detroit (Denverite, 2016) and Los Angeles (Barragan, 2015). Unfortunately, this may be the last generation of tenants due to various statutes and the fact that some of these homes are in desirable areas of New York. There is a misconception that these individuals are paying next to nothing to reside in these homes, however many are paying more than half of their incomes in rent and have lived in these communities for their entire lives. They also face rent increases like the rest of the population; however some of the rate increases can be upwards of seven percent. Moreover, some tenants may be able to cover the cost of living in these homes, but their daily living expenses, health insurance premiums, medication, and utilities may be outside of their budgets. While working a part time job may be an option, they must always be mindful to not earn more than the income cap as it can result in them losing their home or having their rent increased. In my personal life, I have witnessed my 70 year old mother who holds a Master’s degree and retired from the Federal Reserve Bank navigate living in a rent-controlled community while working a part-time job to meet all of her monthly expenses. I have also observed my father continue to work a full-time job at the age of 69 because he cannot afford to retire. It is imperative that we as a society begin to address the needs of older adults both as it relates to affordable housing options and financial security. Depending on your age, social resources, skill level, and economic status, homelessness becomes more of a reality than something that is impossible. Creating job opportunities, training, affordable health care and reasonable health insurance premiums are necessary so that older adults can live out their retirement in peace without the stress of figuring out how to survive. If many working Americans are only one paycheck away from being homeless, where does that leave those who are older with limited employment opportunities and no savings? More information on Dr. Ikeranda C. Smith's research can be found here. What’s All the Fuss about Snapchat?